The MGM Grand in Las Vegas opened 25 years ago, yet remains one of the largest and consistently-booked hotels in the world to this day. But in a city of 24-hour entertainment, even a flagship properties have to reinvent themselves regularly, and the MGM is no exception. In late 2017, in an online competition between my old pals at VT Pro and newcomers from Lyon, Thorize, Leviathan was invited to participate. 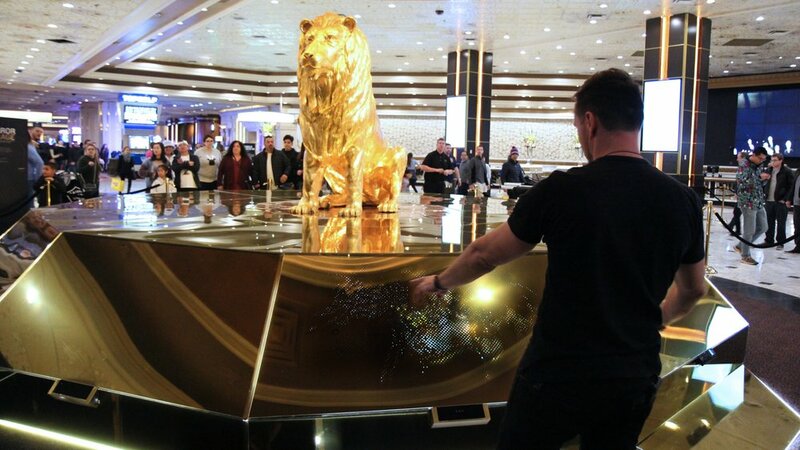 Ultimately we were elected and for CES 2018 we set up a demo of our experience surrounding the Grand Lion in the hotel’s main lobby. The interactive lobby installation - dubbed Mirror Mirage - was built by Artpentry, in Chicago to surround the hotel’s iconic lion statue. Leviathan dubbed the monitors with gilded video displays, where using computer vision made the displays come to life with glitzy animation that reflected the guests movements. Staying inline with MGM Grand’s overall theme, GOLD was the driving theme behind the sculptural and animation elements. Overall the demo was a success and Leviathan will be looking for the follow-up later in 2018. 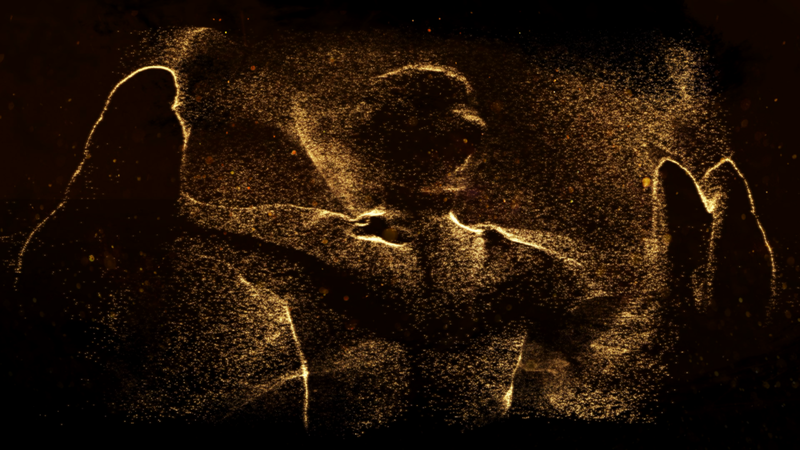 Just another example of merging brand awareness with interactive art.